WITH Madhya Pradesh government agreeing to bring assets of bureaucrats in public domain following a recent order of Central Information Commission, the process of RTI Raj prevailing over bureaucrats’ age-old doctrine of secretary has entered the final stage. If assets of 290 IAS officers of Madhya Pradesh cadre have already been brought under the ambit of RTI, it’s not far from forcing civil servants of other cadres as well, to publicly disclose their assets just like their political masters who by law disclose their assets while filing nominations for any Indian election. 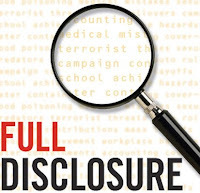 Significantly, civil servants routinely file their asset disclosures, but those gather dust in official files and have not been made public so far. (Read: Officers’ submission of immovable properties). Also, I-T department does not hand over personal details of any citizens including bureaucrats. But a recent order of the Central Information Commission, pronounced by Information Commissioner Shailesh Gandhi said that disclosure of information such as assets of a public servant cannot be construed as an invasion on the privacy of an individual. The order said, “...If people who aspire to be public servants must declare their property details, it is only logical that the details of assets of those who are public servants must be considered to be disclosable”. The prominent Madhya Pradesh cadre IAS officers now include expenditure secretary Ms Sushama Nath (1974 batch), school education secretary Ms Anshu Vaish (1975 batch), disinvestment secretary Sumit Bose (1976 batch), (Read: Profile of Sumit Bose) MP chief secretary Avani Vaish (1975 batch) (Read: Profile of Avani Vaish), special secretary in defence production Ajoy Acharya (1976 batch), central provident fund commissioner Uday Kumar Varma (who is also a special secretary in Information and Broadcasting ministry till March 31, 2010), Director of Lal Bahadur Shastri National Academy of Administration (LBSNAA) Padamvir Singh (1977 batch), joint secretary in PMO R Gopalakrishnan (1979 batch) and DG Doordarshan Ms Aruna Sharma (1982 batch) among others. a) Chhattisgarh government on Wednesday suspended senior agriculture secretary Babulal Agrawal (Read: The IAS with 220 bank accounts) whose premises were raided by Income-Tax Department. The case was handed over to Economic Offences Wing (EOW). b) The Appointments Committee of the Cabinet has approved the proposal for premature repatriation of Aditi Mehta, a 1979 batch Rajasthan cadre IAS, presently working as joint secretary in the Indira Gandhi National Centre for Arts (ICNCA) to her parent cadre. c) The ACC has approved the proposal of premature repatriation of DN Srivastava, a 1984 batch IFS officer and joint secretary in the ministry of overseas Indian affairs to his parent cadre. d) Neeraj Kumar Gupta, a 1982 batch UP cadre IAS, presently joint secretary in commerce ministry has been appointed as Executive Director, India Trade Promotion Organization (ITPO). e) V Bhaskar, a 1981 batch AP cadre IAS has been appointed as joint secretary in the department of industrial policy and promotion (DIPP). f) SC Sinha, a 1975 batch Haryana cadre IPS, has been appointed as Director General of the National Investigation Agency (NIA). He is currently working as a Special Director of Central Bureau of Investigation (CBI). This is an excellent move by the Madhya Pradesh Government. The citizenry has to remain vigilant and strive hard if they do not want to lose their rights in Dynastic-Feudalistic-Democracy. The pressure built through these small initiatives would pave way for accountable and responsible administration. Pin them down in the beginning and expose the corrupt with all your energy for your own well being. Kudos to such an action.